A cavalier use of evidence in the UK’s latest Home Affairs Select Committee report is feeding a moral panic about antisemitism, rather than dealing with an increasingly racist, intolerant society. This does not appear to be a mere a lack of curiosity in the Report. On the contrary. Its authors seem positively to want to lend support to the idea of Labour’s “institutional antisemitism”, mentioned in the very first paragraph of its press release. The ‘Macpherson definition’ of a racist incident is cited in para 13 – as though the Metropolitan police’s unwillingness to recognise racism in the past is equivalent to Labour’s relationship to antisemitism today. You wouldn’t guess from the Report that every allegation of antisemitism in the Labour party has resulted in the suspension of the Labour party member concerned within a matter of days and that its leader has repeatedly and unreservedly condemned antisemitism. 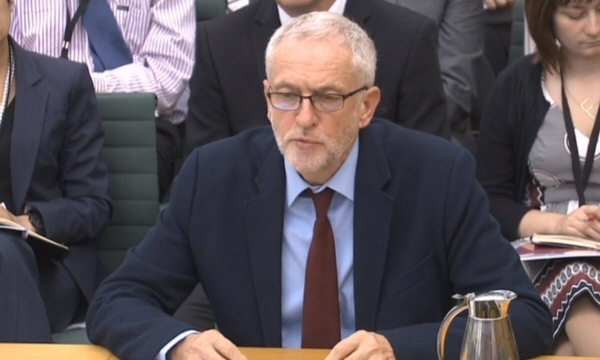 Given this absence, which was compounded by the way the Report was presented to the media, it is no surprise that all outlets duly led with its attack on Labour and focused on Jeremy Corbyn’s alleged “lack of leadership” and “weakness” in dealing with the assumed scourge of antisemitism in his movement. The Committee’s report goes on to claim that the Chakrabarti inquiry was “ultimately compromised by its failure to deliver a comprehensive set of recommendations, to provide a definition of antisemitism, or to suggest effective ways of dealing with antisemitism (para 118). I’ll come to the separate issue of a definition of antisemitism below, including in the Chakrabarti Report. But Chakrabarti did, of course, provide a comprehensive set of recommendations and suggested ways of dealing with antisemitism. They need to be implemented and only then can their effectiveness at dealing with antisemitism over time by judged. How can it be anything other than partisan bias for the Committee to dismiss them at this stage? 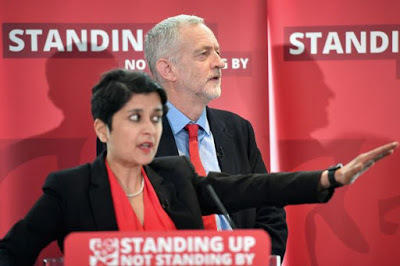 In particular, Chakrabarti was very explicit about the need for clear and transparent disciplinary procedures in the Labour party in order to deal with allegations – this in a context where there was widespread feeling that allegations of antisemitism were being used as weapons in a campaign to get Corbyn. A significant part of her report –as yet unimplemented – relates to issues of due process and natural justice. None of this is given more than a hint of recognition by the Home Affairs Committee (para 114). Chakrabarti’s condemnation of the use of certain language inveighed, rightly, against any “bitter incivility of discourse”, including her insistence that there was no place for the use of the word “Zio” ever, nor for “Zionist” as a term of abuse (recommendations accepted by the Labour party’s NEC in September). These are snidely dismissed by the Report (para 102) as “little more than statements of the obvious”. And yet lo, in para 32 of the Report we have this: “The word ‘Zionist’ (or worse, ‘Zio’) as a term of abuse, however, has no place in a civilised society… [Their use] should be considered inflammatory and potentially antisemitic.” It is hard to tell the Committee’s and Chakrabarti’s formulations apart, as the words are transmogrified into no longer being “little more than statements of the obvious”. Now the Home Affairs Committee has resurrected this draft working definition (in the form adopted almost verbatim by the International Holocaust Remembrance Alliance and referred to as the IHRA definition). It notes the objections but simply says “We broadly accept the IHRA definition, (para 24. and recommend (Conclusion, para 4) that it “should be formally adopted by the UK Government, law enforcement agencies and all political parties” with two caveats – see below). Specifically, I propose two distinct but complementary definitions of antisemitism. One definition focuses on discourse, the other focuses on discrimination. 2. In addition to antisemitism which arises within the process of representation there is also antisemitism which stems from social and institutional practices. Discriminatory practices which disadvantage Jews are antisemitic. Taking a historical view, we can say that British society and the British state became less antisemitic in past centuries as Jews were allowed to live in the country, to pray together, to work, to vote and to associate with others in clubs and societies to the same degrees as their Christian fellow-subjects. Discrimination against Jews need not be accompanied by discursive antisemitism, even though in many cases it has been. If we apply this definition of antisemitism to public debate on Jews and Israel last summer and autumn we will need to ask whether any aspect of this debate threatened to discriminate against Jews. Author FreeSpeechonIsraelPosted on 24 October 2016 19 December 2016 Categories Definitions and accusations of antisemitism, Labour PartyTags Blog, Chakrabarti Inquiry, EUMC definition, Home Affairs Select Committee, Jeremy Corbyn, Labour Party, Ruth Smeeth4 Comments on Crying wolf?